One thing that bonded us from the beginning of our friendship was our mutual love of movies. We’ve recommended, shared, watched and seen many movies together. We love hilarious movies like Bridesmaids, dramatic movies like Inception, and book-to-film movies like the Harry Potter series. But some of our favorite movies transcend genre – they are movies that have made an impact on our lives and have never left our hearts. Today, we’d like to share three movies each that have left us feeling like someone else out there understands. Three movies each that, after watching, we immediately wanted to watch again. Three movies each that left an impact on us. 1. Safety Not Guaranteed – I started watching this movie because I love Aubrey Plaza. I finished watching this movie because it was wonderful. This film is a testament to all the weirdos out there. Kenneth, played by Mark Duplass (who I recently have formed a huge crush on) is building a time machine and looking for someone to travel with. Aubrey’s character, Darius, is sent to investigate this strange man. Both characters are oddballs and easy to fall in love with – which they do. The ending, which I won’t give away, took me by surprise. This movie launched itself into my heart, and it’s there to stay. It’s witty and strange and wonderful. After watching it, I felt whole. 2. Your Sister’s Sister – After watching SNG, I knew I needed to watch more Mark Duplass. He has this quirkiness and realness to him that I adore. This movie fulfilled my need. After the death of his brother, Duplass’ character, Jack, is sent to a cabin by his best friend (also his brother’s ex) to spend a week alone in his thoughts. When he arrives, his best friend’s sister is there. Eventually his best friend, Iris, played by Emily Blunt, shows up and some crazy events occur. Basically, this movie was perfect in that it wasn’t perfect. It showed real life and problems that occur in it. It wasn’t afraid to be honest and brutal. Also, the cinematography and setting were breathtaking. I want to watch it over and over. 1. 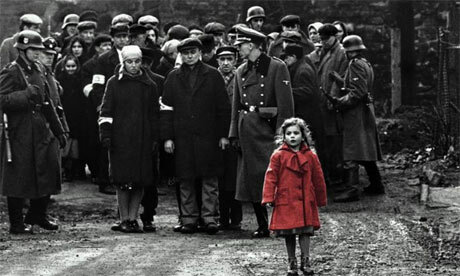 Schindler’s List- I know this movie is anything but a feel-good, let’s-eat-popcorn movie. However, I think that it is a film that Every person should see sometime in their life. I’m a HUGE Steven Spielberg fan, of the Dawson Leery magnitude. This film has a lot to do with why I love him. I think it’s the best made movie to date. Spielberg himself waited nearly 1o years to make it to ensure that he was ready, and he was. There are so many moment such as the acting of Ralph Finnes, John William’s score and the girl in the red coat (favorite movie moment of all time) that make the movie unforgettable. The world needs to watch. 2. Liberal Arts- This is actually a movie that Sarah recommended to me. 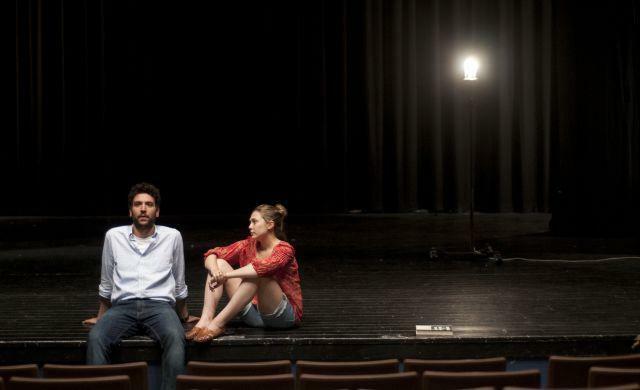 I was interested, I thought, “Oh, yay a cute little romance comedy.” Written by and starring How I Met Your Mother's Josh Radnor, this movie quickly became what I think is one of the best written movies ever. The language. The characters. The words. I seriously can’t think of anything more perfect and beautiful. This movie makes me want to write and write and write. 3. BULLY- First off, I’ve never cried so much in my life. So bring all the tissues in the world with you when you watch this documentary following bullies and victims of bullying in schools across America. This movie gives you an inside look at bullying that I don’t think has been shown before, thanks to the filmmaker: Lee Hirsh. The stories are heartbreaking, sometimes hopeful, and make it clear that we need to do something. Sometimes you watch a movie and after that movie is over and the credits are well done with, you’re still sitting there thinking, in awe, and impacted. The films above did this to us and put us deep into movie hangovers that we never want to get over or forget. If you haven’t seen these yet, check them out. They’ll change you. What movies have impacted you?